The Premise: Ex-con Joe (Nicolas Cage) kills trees to make clout, meets a young boy (Ty Sheridan) with a drunk dad who likes breakdancing. With that kind of setup, how could trouble not be far behind? The Good: Gary Poulter (aka breakdancing dad) not only had no previous acting experience before Joe, he was actually a homeless drifter discovered by casting. The surprising part? He’s brilliant. Not to mention Cage puts in a solid bee-less performance. The Bad: Boring parts caused by jarring tonal shifts. One minute someone is being beaten, the next Cage and the son-that-he-never-had look for a dog in a soak-up-the-sun trip around town. The Verdict: See it. 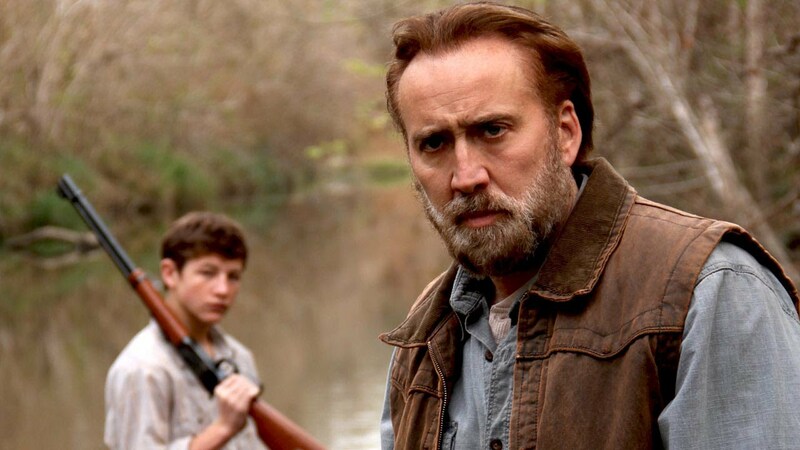 I’m happy to say David Gordon Green is back to form in this Danny McBride-less drama. But Gary Poulter is the real reason to watch this movie. 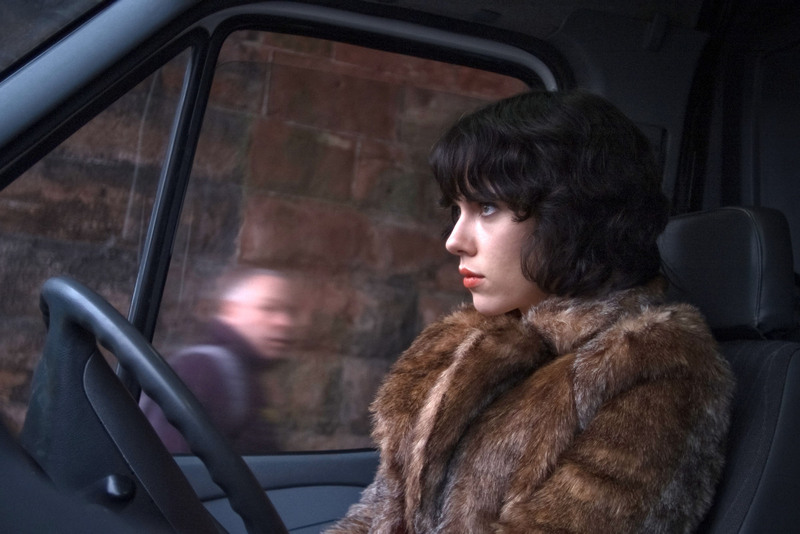 The Premise: ScarJo with a wig and a questionable accent comes down from presumably outer space to Scotland to lure men into a scary, possibly metaphorical black void with skin crawling results. The Good: At times the film has a thrilling cinéma vérité style to it, fresh and exciting. I can also greatly appreciate what’s being said here thematically. It makes me feel ways about things and junk. The Bad: Probably the most disturbing movie I’ve ever seen in a movie theater. At times I wanted to leave and yet couldn’t look away. I like what the film has to say but the way it’s said makes me want to sob uncontrollably. The Verdict: See it, IF…. You have a strong stomach and aren’t afraid of feeling so unclean. The Premise: A cowardly sheep herder (played by the snarky Seth MacFarlane) falls for the wife (Charlize Theron) of a dangerous gunslinger (the not so snarky Liam Neeson). Offensiveness ensues! The Good: LOLS and dare I say even a few ROFLMAO’s? This is in regards to film’s cheeky dialogue. My favorite back-and-forth was between MacFarlane’s character Albert and his father George. The Bad: When the jokes miss, they MISS. Low blows a plenty! I’m even more turned off the by the flick’s slapdash slapstick. There’s slapstick and then there is glorified violence. In those moments I felt like I was watching something crapped out by one of those parody flick schmucks. The Verdict: Skip it. The fact that I liked bits and pieces of it can only mean I have permanent brain damage from watching too much Family Guy. The Premise: Cancer girl meets cancer boy #blessed. The Good: Alt-indie-power-pop-rock-ballad soundtrack. Shailene Woodley knocks it out of the park despite playing every teenage girl’s stereotypical fantasy, a smart ’n sassy girl who falls in love with #perfectboy. 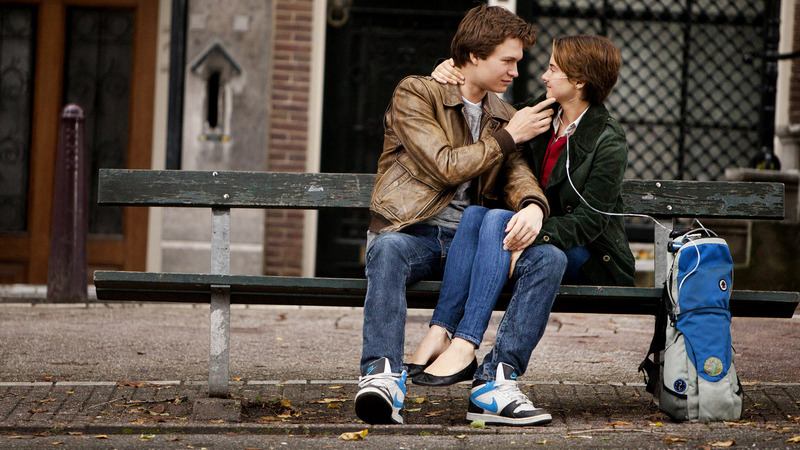 The Bad: The One Direction-esque Augustus Waters, played by the somehow more ridiculously named Ansel Elgort exists solely to love Hazel (Woodley) and nothing more. The Verdict: Skip it. By no means bad but nothing new. Check it out if you want to see Shailene Woodley’s response to Jennifer Lawrence in the battle for America’s next “It Girl”. Cast:, Jake Gyllenhall X2, Mélanie Laurent, Sarah Gadon. 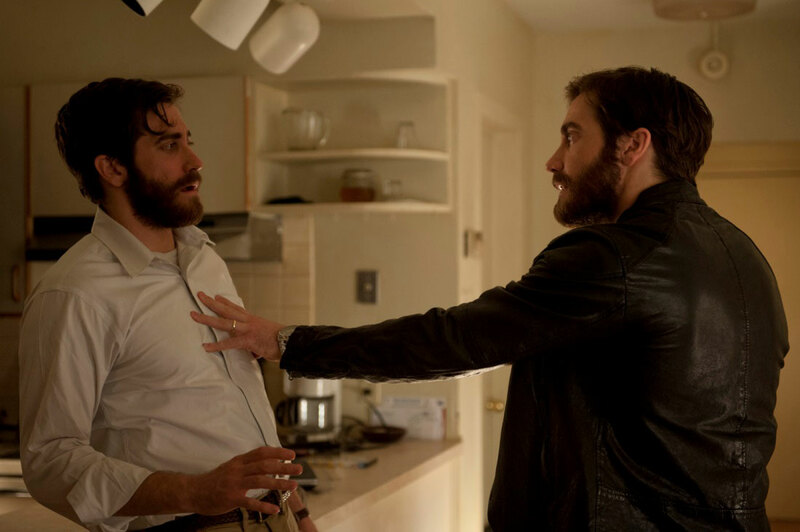 The Premise: A stressed out professor (Jake Gyllenhaal of Prince Of Persia fame) rents a movie and finds an extra in the film that is in fact, his exact double. J.G.’s fascination quickly turns to obsession in this psychological thriller that has more twists than a pretzel. The Bad: You’ll guess the final twist in about five minutes. Then if you’re like me you’ll see that twist and punch your TV, or iPad, if you prefer to be angry while also keeping up with our go-go modern technological landscape. The Verdict: Skip it. 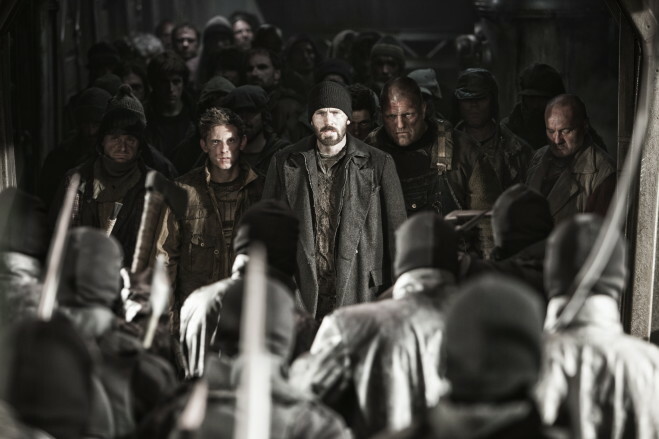 There are plenty of other flicks that tackle the same subject in a far more palatable package. The Premise: Chris Evans leads a rebellion on a futuristic ice train. Winner of the greatest premise of the year. The Good: The concept, the visuals, and South Korean heartthrob Song Kang-ho. The Bad: Like any foreign director tackling American Cinema for the first time there’s bound to be some clunky exchanges. Here it’s too much exposition and some not so effective special effects. The Verdict: See it. The action is slick, the premise is sick, and the there’s plenty of other great tricks. That’s three rhymes in a row, high five! 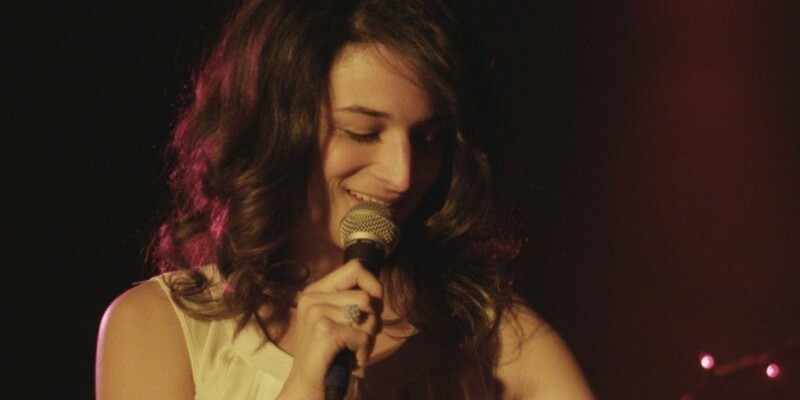 The Premise: Jenny Slate plays a down-on-her-luck comedian struggling with an unexpected pregnancy. Awkwardness ensues when she schedules an abortion on Valentine’s Day and finds herself wookin’ pa nub in all da wrong places. The Good: Jenny Slate is pitch perfect. The laughs are big and the heart is even bigger. The Bad: Fairly conventional plot points, “I’m being dumped and laid off on the same day?” Uh-oh, SpaghettiOs! The Verdict: See it. Slate is a dual-threat as a first class comedian and a dramatic charmer. See y’all next time for another one of my fractured reviews. As a bonus, here’s the song Obvious Child by Paul Simon. Otteni out!